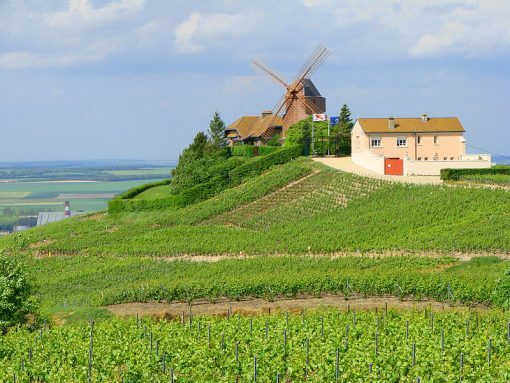 The Champagne region is located on North –Eastern part of France, a little bit South from Paris. 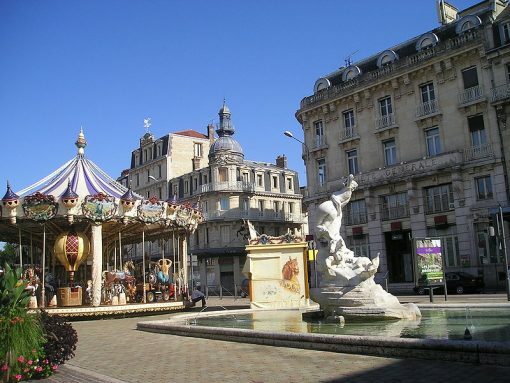 The capital of the region is Troyes. But other cities are also well known such as Reims with its cathedral where kings of France used to be crowned or the city of Sedan with the biggest medieval fortress of Europe. This region has a rich history, that’s why it had 5 different sites registered to the UNESCO World Heritage Sites. Most of them are located in Reims. Here are the different monuments in Champagne Region registered in the UNESCO World Heritage Sites. In Reims there are Cathedral Notre Dame de Reims, Ancient Royal Abbey of Saint Remi and the palace of Tau. 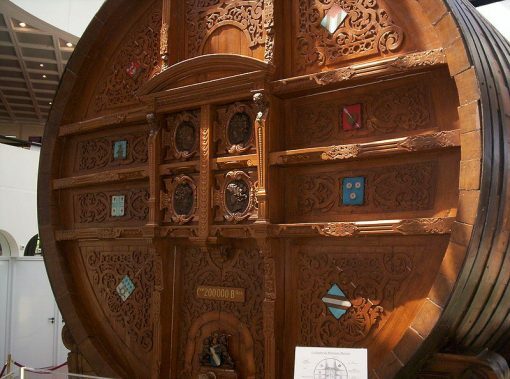 Then, there are in L’Epine the Basilica Notre Dame and in Chalons en Champagne the Church Notre Dame en Vaux . The Champagne Region is famous for its production of “Champagne” a fine French wine. 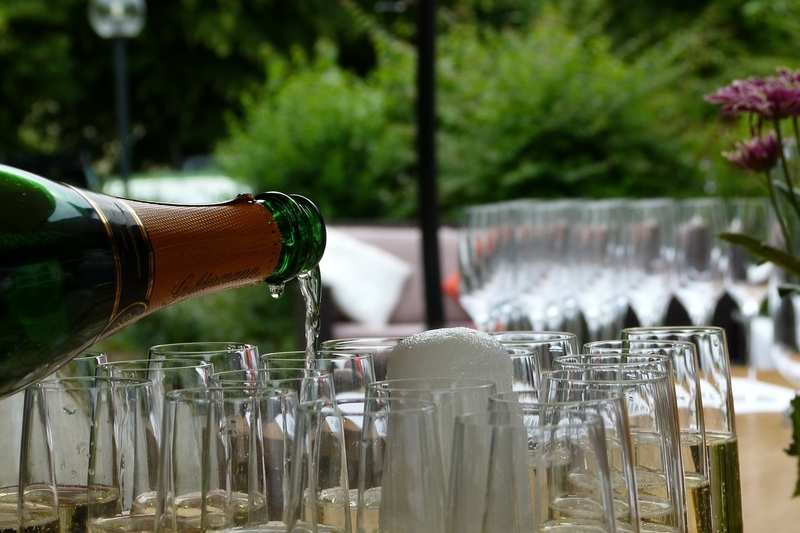 The Champagne wine is an AOC (controlled designation of origins), it means it has a French certification.The grapes which produce Champagne grow only in this particular region of France between Epernay and Reims. Three different grapes make the Champagne: Pinot Noir, Chardonnay and Pinot Meunier. Grapes for Champagne are collected manually only and the Champagne stays in barrels around 15 months. The first vines were planted by Romans, but the Champagne started to be really produced only during the Middle Ages. At this time alcohol was mainly produced by monks. And the first bottles were sold out in 1660 by the monk Dom Pérignon. All the great brands of Champagne became well known internationally between the 18th and 20th century. Nowadays, no less than 300 millions bottles are produced each year in the region. Troyes is a very nice and old city. Enjoy a walk through the small streets of the old city composed of colorful half-timbering houses. Troyes counts several churches with wonderful stained glass. 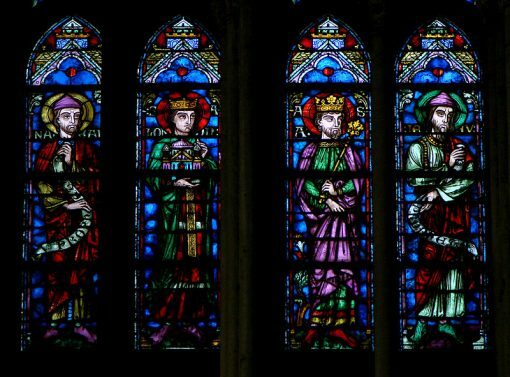 In fact the art of stained glasses developed in Troyes since the 16th century and the same method has been kept fro centuries to create these wonderful stained glasses. Reims became famous because it was the city where the coronation of kings of France usually took place, inside the Cathedral Notre Dame of Reims. Unfortunately the medieval cathedral stained glasses were partially destroyed during the First World War. In the chapel, stained glasses which can be seen had been made by the famous Russian artist Marc Chagall. During the summer, the cathedral is the main character of the show “Reve de Couleurs”. Many lights appear on the cathedral and it becomes fabulous and magic, highlighting the numerous statues of the cathedral. Reims is an interesting city to discover, because between other things, the town has 5 buildings registered on the UNESCO World Heritage List. Reims is a very old city, a Roman ruin can be admired in Reims: the Roman arch Porte Mars which was an entrance door to the city. Reims is also with the small city of Epernay, the capital city of Champagne. In fact several great producers of Champagne have their house in Reims or nearby. Most of these cellars and houses can be visited. Sedan is also a nice city to discover in the champagne region. 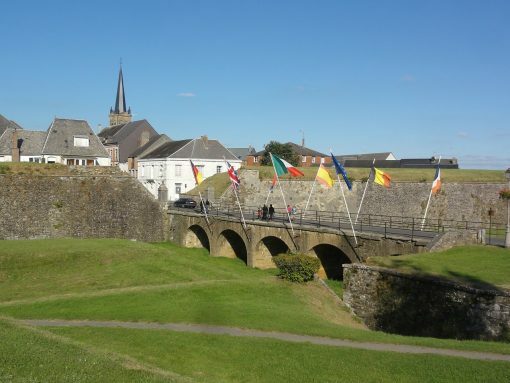 The city counts several nice and old building to see or visit such as its medieval castle, the Princes’ palace or the great Royal Dijonville Factory where were produced fine bed linens. This factory is a nice building of the 18th century which more looks like a palace than a factory. Sedan has also several interesting buildings such as its medieval fortress. 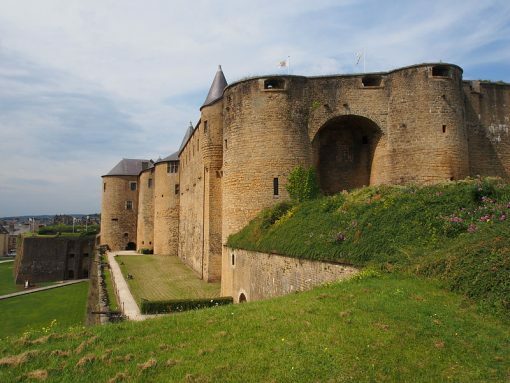 This huge fortress is the witness of several parts of the French history. Rocroi is a small city located in the northern part of Champagne region. It is located only 100 km from Brussels the European Capital. This small city counts about 3000 people. From the main square of the town, ten different streets lead to the ramparts. On the main square, can be seen several old houses and some were built during the 17th century. An interesting building which can be visited is the old “control room”, it has a military architecture from the 17th century. This building is now the museum of the city and offers to visitors two main exhibitions about the Rocroi Battle of 1643 and the Thirty Years’ War. The small city has a very particular shape, it had been built as a star and became a military defensive place. The military function disappeared in 1889 but the shape of the city remains.